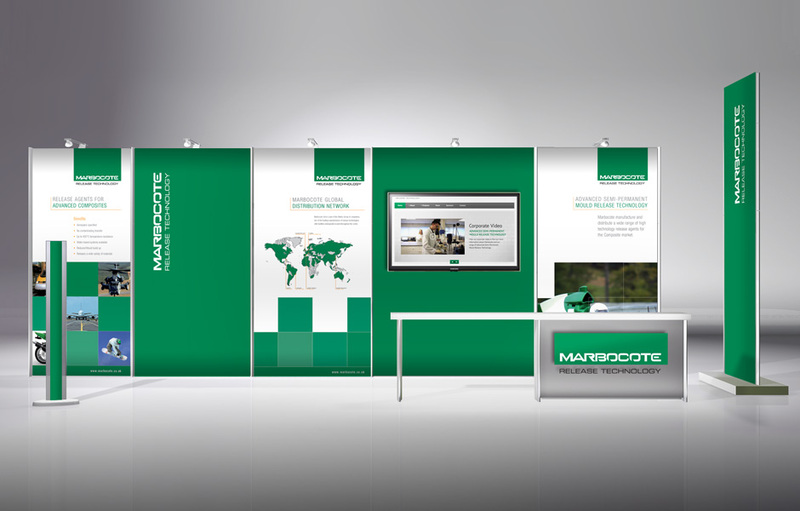 Division Design have produced the new exhibition system and graphics for Middlewich based company Marbocote Release Technology. Division Design offers a range of lightweight and portable pre-configured exhibition stands for hire or purchase. These exhibition systems can be used as stand alone units or joined to form layouts of any size or design. The systems are designed for rigid materials such as foam PVC, aluminium composite (dibond) or acrylic panels up to 3mm.